Stepin adventure is inspired by the idea that Adventure requires one to step up to something new or challenging and step in to a mind frame ready for Exhilaration, Excitement and some Exhaustion, all part and parcel of Adventure. This could include a hike up a hill, a path breaking expedition or camping in your backyard just for kicks. It’s a road less travelled or a route unknown away from a staid and sedentary life, demanding you Step-in Adventure! We are offering gear, assistance and a lot of free heartfelt expert advice to tackle your forth coming Adventure. Stepin Adventure Gear Store in Pune houses the ways, the means and the method to your next big break as an Adrenaline Junkie, Rock-hard Rock climber, Leisurely Nomad, Ace mountaineer, Badass Biker or even Corporate Honcho. We also have long standing experience with organizing Treks, Mountaineering Expeditions and a niche understanding of Outbound Training Programs, and Team Building Activities for adventure enthusiasts and Corporate’s across India. Shripad is essentially one of the toughest experienced mountaineer’s and rock climber’s you are likely to meet to provide informative insights on your everyday hill routes (climbing Tekdi) as seriously as your expedition to Everest. 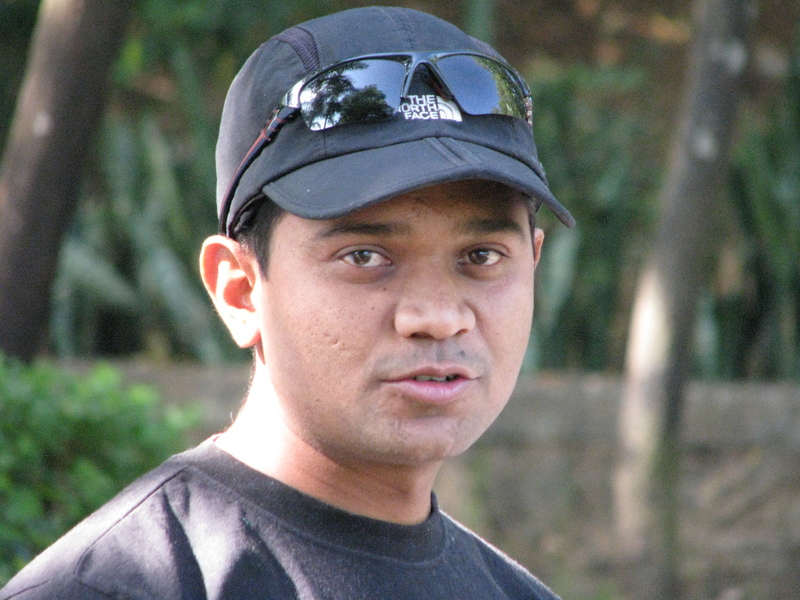 His 15 years of experience is certified by the Basic, Advance, Search and Rescue, Method of Instruction, Liaison Officer, Alpine Climbing, Trek Leader’s Course (Teach the Trainers) Courses all from prestigious Nehru Institute of Mountaineering, Uttarkashi. Not to mention a Basic Skiing Course and a Disaster Management Course! Having climbed some of the most interesting and dangerous mountains in the world, Shripad was awarded ‘Best Mountaineer’ in 2005 by Girimitra Sammellan He was selected for an International Climbing Camp held in UK and holds a record of First Ascent for 3 peaks in India. As insider to the world of Adventure and a store house on information of gear and locations to use it, he is a central to your experience at Stepin Adventure. As Prajakta’s core passion remains Mountaineering, she has completed both her Basic and Advance Course in Mountaineering from the Nehru Institute of Mountaineering Uttarkashi and will be pursuing Search and Rescue in the forthcoming year. A dynamic multi tasker- she has played a key role in the evolution of Stepin Adventure and now acts as the Operations Head. This budding adventure expert while not only leading professional outdoors workshops and adventure events with Stepin Adventure also contributes to business development, sales and accounting. 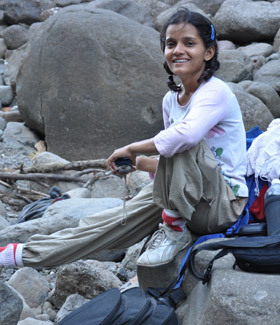 Prajakta is essentially a people- person and your experience in the outdoors with her would definitely be exhilarating! 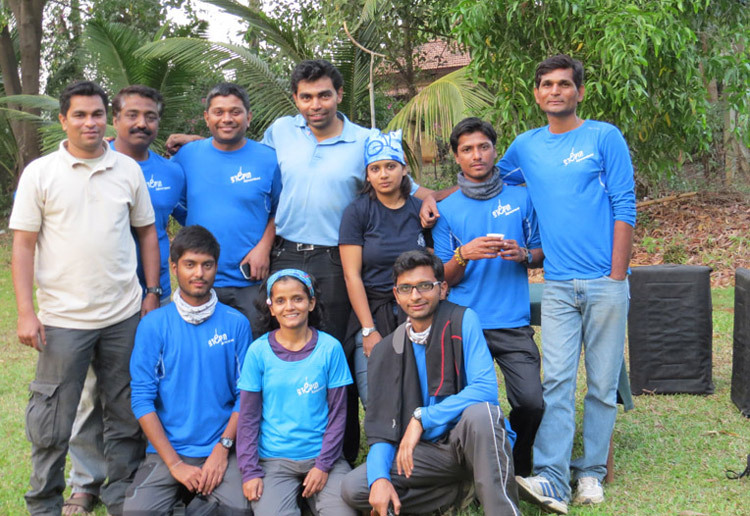 The team of certified and experienced trainers, rock climbers, and mountaineers for various Adventure Activities, Outbound Training Programs and Team Building Activities for different corporate across India.